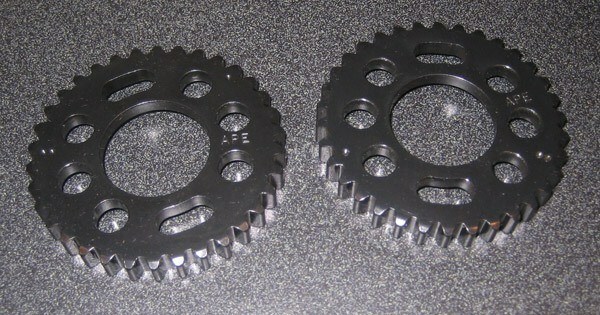 APE manufactures the original "billet" adjustable cam sprockets. APE sprockets are necessary for precise cam timing to achieve maximum performance. APE sprockets are fully machined on the latest state of the art computerized equipment to precision tolerances and fully heat treated for extra long wear life. APE adjustable camshaft sprockets allow you to tune your engines performance and powerband. Best results when used with a high performance exhaust system, internal engine upgrades, and other enhancements. Adjusting your cam timing requires in-depth knowledge and understanding of your engine - professional installation and adjustment is strongly recommended. Specialized tools are required (timing wheel, etc) for proper installation and adjustment.